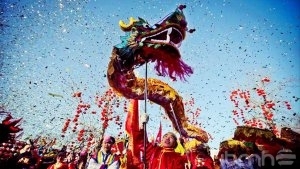 How does Chinese New Year affect us in our imports and what can we do to solve it? September has arrived, a new cycle of imports where the “Chinese New Year”, the most important traditional holiday of the Chinese calendar year, is approaching leaps and bounds. It is time to foresee the consequences of this festivity, which in 2018 will begin on Friday, February 16th. 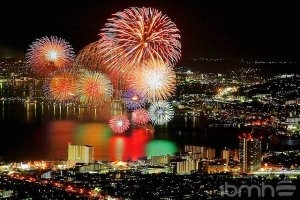 The Chinese New Year tradition is undoubtedly the most important tradition in the country. That is why factories close for about one month and there are important consequences on the import of hardware in China. For that reason, we must be prepared to receive delays in our orders and other consequences that we can try to solve reorganizing ourselves from now with the hardware manufacturers in China. 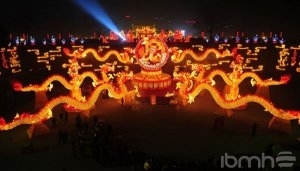 What is the Chinese New Year and what is the origin of the problems to import in this time? The Chinese New Year, also known as “Spring Festival”, is decided on the basis of the lunar calendar, so the exact date varies each year. This year will be February 16th, on Friday. From then, the Chinese people meet with their families, exchanging gifts. Blue-Collar workers return to their hometown to see their families, most of them in Central China, where they come from. The law says there should be a week of holidays, although companies in the international quality control or logistics business usually stop for two weeks. However, holidays in Chinese factories operate differently. The administration closes two weeks and the workers in production are absent from 4 to 6 weeks. Because it is the only time they can return to their hometown and most of them accrued holidays due to overtime, working on weekends and during other holidays. – The management staff is only absent 1-2 weeks, so most of the sales processes will continue to be active, providing product quotes and taking new orders. How to avoid problems in Chinese New Year imports? Before and after the end of the Chinese year, keep in mind that the production line decreases, serious delays and quality problems occur in Chinese imports. Therefore, your orders should be more controlled at that time. We explain what to do to minimize import problems in China. – Keep in mind that shipping will be more expensive. Avoid this and all quality problems and delays by ordering now in SEPTEMBER or THE FIRST WEEKS OF OCTOBER. – Remember that the production time will be delayed and the quotation requests will be processed more slowly. That is why an early order also minimizes problems. – Many workers will return to factories in mid-March. Until then, it will be necessary to extend the previously estimated production times. – What is your relationship with Chinese factories? With a value of one month of accumulated orders, factories will process firstly orders from their preferred partners. Having a positive relationship with Chinese suppliers helps us to go first.